Local ornithologists, and birdwatchers estimate that millions of birds fly along the Lake Michigan shoreline each year, using the “Michigan Flyway” — recognized as one of the most important bird migration routes in the greater Chicago area — to guide their annual migration. 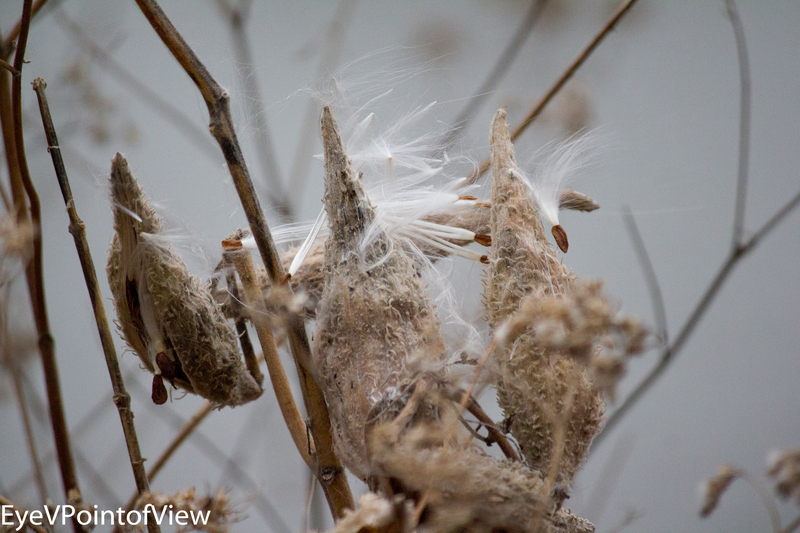 The Lake Michigan shoreline has three well-developed nature sanctuaries offering resting points, food and shelter for migrating birds. 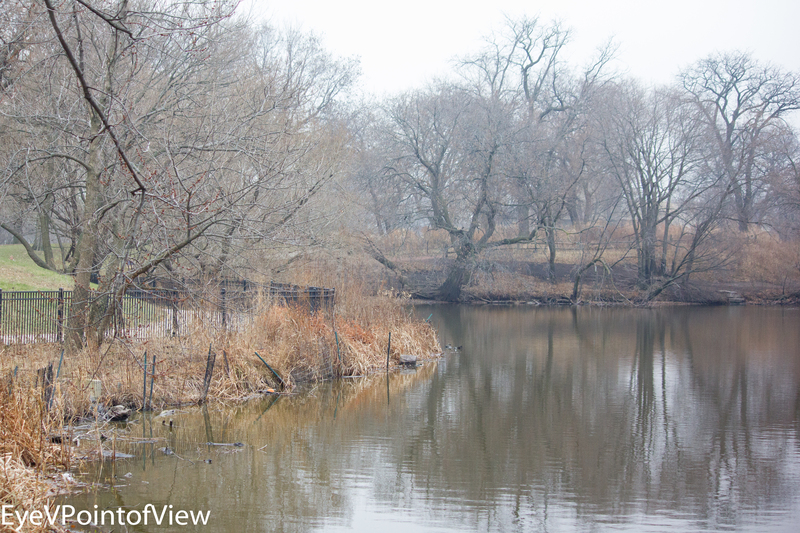 One of these, the North Pond nature Sanctuary, located on 15 acres in Lincoln Park, has a broad selection of trees and and native prairie grasses that retain a stark beauty in northern Illinois’s winter temperatures. 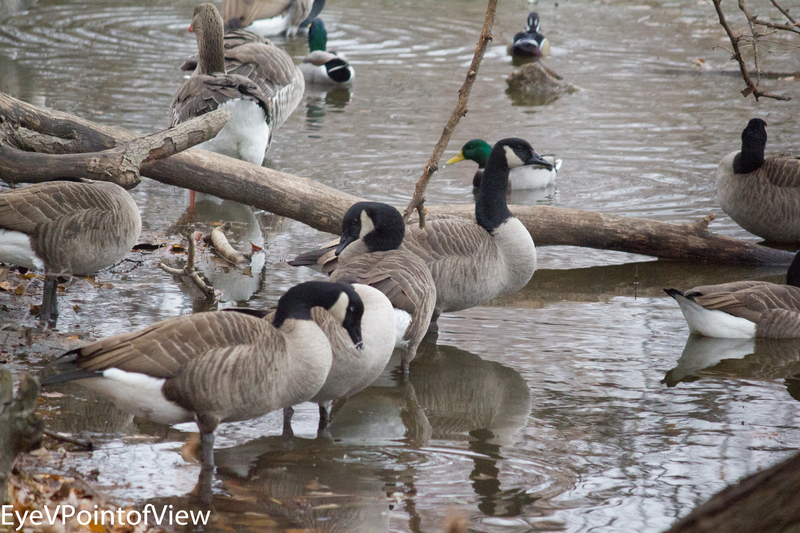 Canada Goose Flock — The Canada Goose in the forefront, seems to be looking at its reflection, while others are looking all around and checking out the pond. We see lots of them here in this area, some of whom have been tagged from tracking and following. In the background of this photo, you also see a yellow-billed duck. Squirrel! 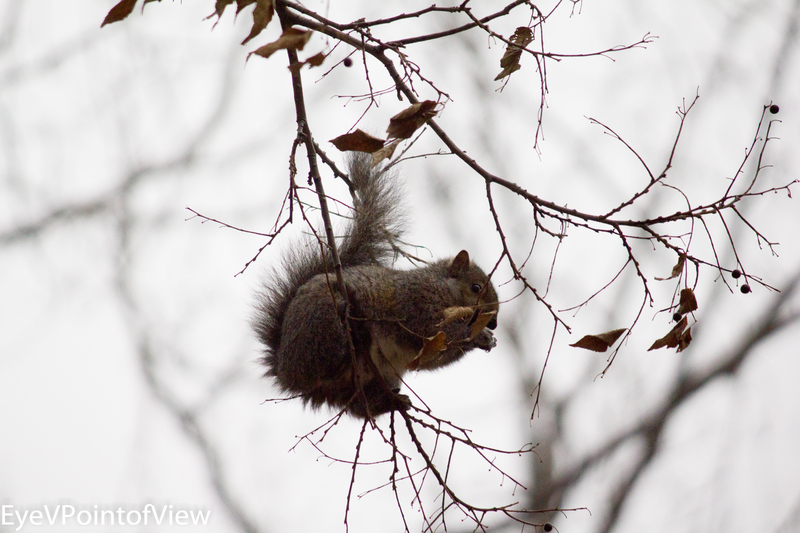 — It is hard to believe that this tiny branch is strong enough to hold this squirrel. I love the free-form lattice created by the interplay of branches against the gray sky. Reflections — The beauty of the bare trees outlined in the sky and reflected on the surface of the pond. Amazing how winter browns have many shades. The dried weeds along the banks of the pond give a vibrancy to this scene. Prairie Blooms in Winter — This prairie gentian, while it looses its color in the colder Illinois temperatures, retains distinctive elements of its shape; the long bulb that splits at the top. When the bulbs are closed, the white strands curl around the inner structure – in the winter bloom, they stick out, in striking contrast to the brown bulbs and leaves. 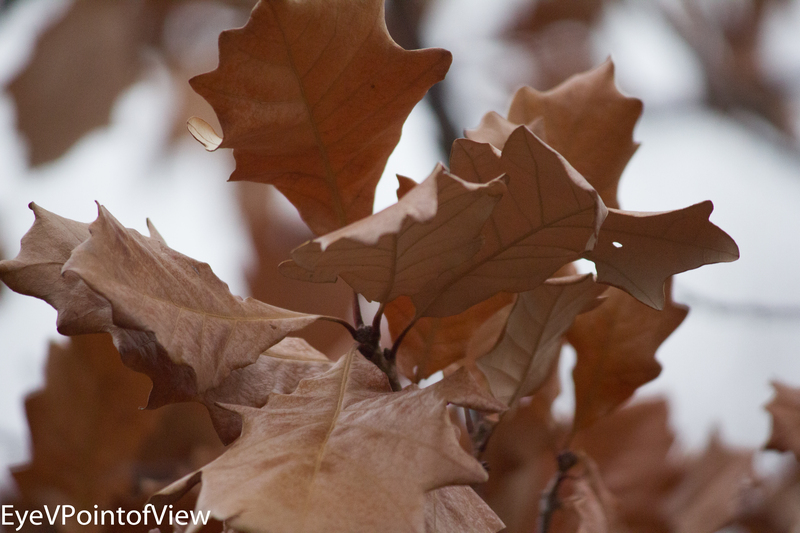 Maple Tree Leaves — I loved finding these leaves still on the tree, wearing their fall colors. 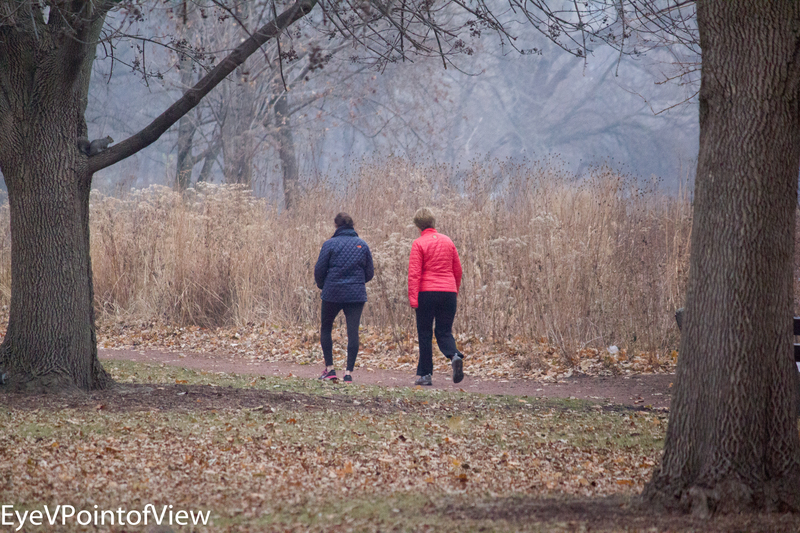 A Study of Contrasts — Even the walkers enjoy the migratory birth path as well, and I love the bright red jacket and dark outfits contrasting against the winter browns, and trees in the mist. The Chicago Park District has worked with organizations such as the Lincoln Park Conservatory, to establish these sanctuaries, continuing its environmental leadership. This won’t be my only trip there — I can’t wait for spring to arrive, and I can explore other sanctuaries. In the meantime, I hope you enjoy these 5* selections!